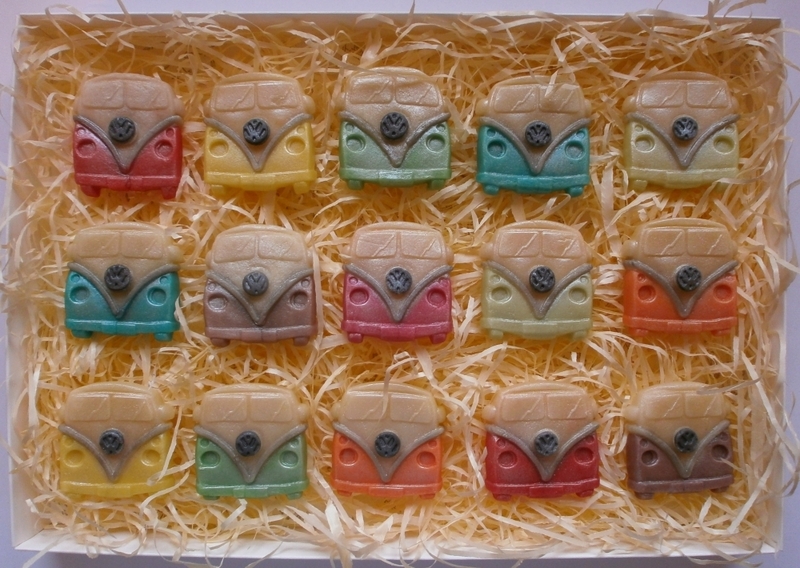 These 100% marzipan VW Campervans are available in a choice of classic colours and make a great gift for enthusiasts or an unusual gift for Father's Day! 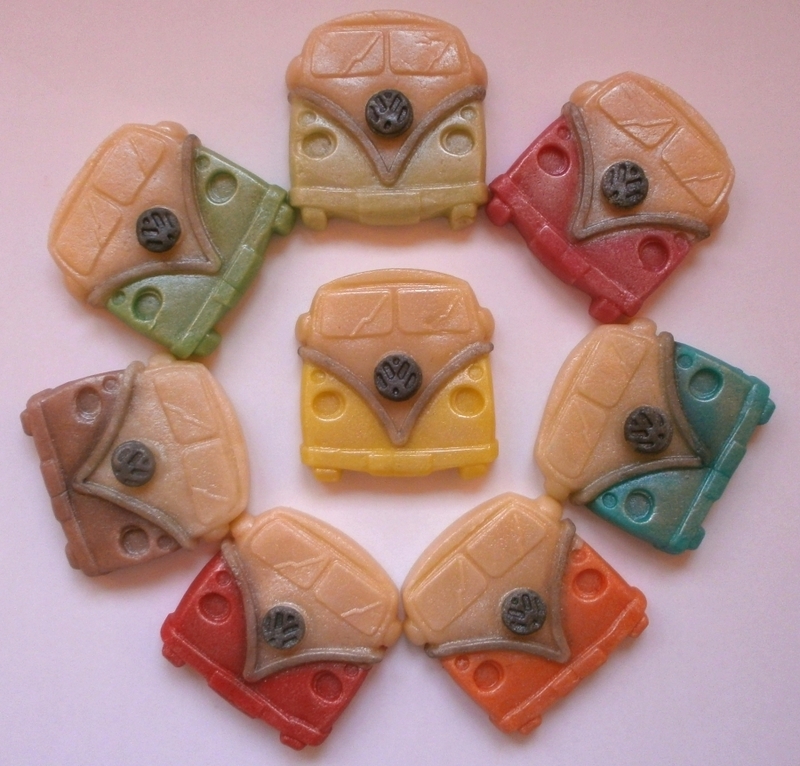 Measuring 4.5 cm from roof to chassis, our marzipan VW campervans can be purchased in three box sizes. 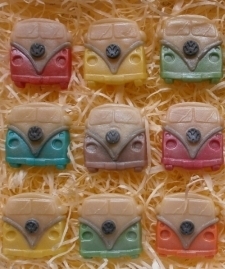 Each campervan is sent individually cellophane wrapped and nestling in a cosy bed for transportation. 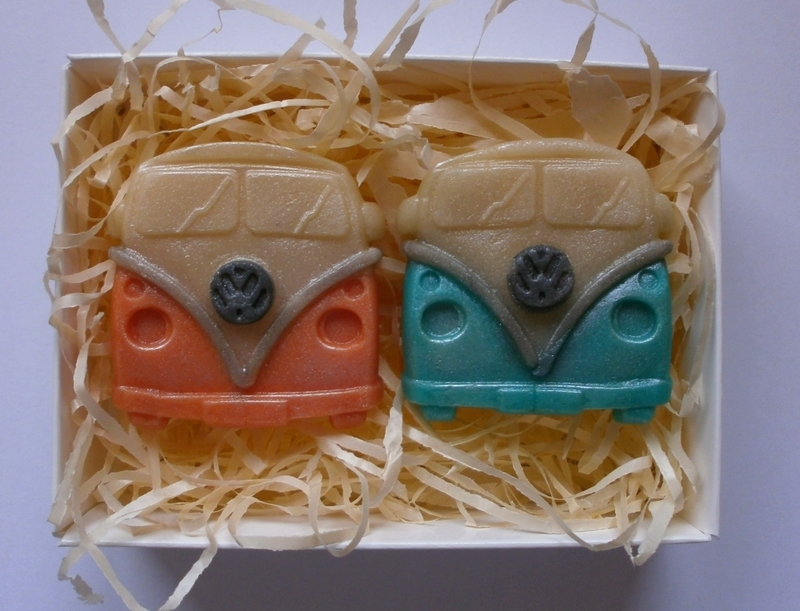 They also make perfect favours for a campervan themed wedding or party and can be made to match your van livery or to complement your preferred colours, just get in touch.